Extinction is part of life. Nearly all species that ever lived are extinct, with new species arising as old ones disappear. But we’ve been losing species so fast over the past several decades that a field once dominated by paleontologists pouring over evidence spanning millions of years, now commands the attention of ecologists grappling with the global hemorrhaging of species in real time -- right before our eyes. No class of animals dramatizes the magnitude of the biodiversity crisis better than amphibians. Ecologists first reported their disappearance from protected areas in the 1980s. Today, a third of Earth’s 6,000 frog, toad, salamander, newt and caecilian species face extinction. With as many as 122 species presumed lost forever and 43 percent in decline, amphibians are vanishing faster any other animal class in human history. Biologists with the U.S. Geological Service delivered more bad news in May, reporting that American amphibian populations are vanishing at an average rate of 3.7 percent a year. Echoing the first reports of serious trouble more than three decades ago, the researchers found losses even in protected parks and wildlife refuges managed to conserve biodiversity. As amphibians continue their downward spiral, ecologists struggle to understand the animals’ responses to the likely agents of their destruction, including habitat loss or disturbance, disease, climate change and contaminants. It’s extremely difficult to tease apart which of these factors, acting alone or in combination, are driving declines in any one region. But a recent study from the lab of aquatic ecologist Rick Relyea, a professor of ecology and evolution at the University of Pittsburgh, shines a small ray of light on a very dark picture. In an earlier study, Relyea found that glyphosate (otherwise known as Roundup), an herbicide widely used to control weeds in agriculture, killed 98% of tadpoles in his study within three weeks and 79% of juveniles in just one day. But pesticides can also cause defects without killing. Maybe stresses that don’t kill offer enough of a cushion for individuals to cope with the stress until more enduring adaptations can emerge in a population. With more than 500 pest species now resistant to the insecticides used against them, Relyea reasoned, maybe frogs, and other unintentionally exposed species, could adapt to these chemicals over time too. Earlier this year, Relyea found that frogs living close to farms were less sensitive to the insecticide chlorpyrifos (but not Roundup), suggesting an ability to evolve resistance to at least one pesticide. In the recent study, Relyea and his team probed the roots of resistance by seeing how individual frogs living farther afield from farms would respond to different concentrations of insecticides early in development. They reasoned that exposing frogs to low levels of pesticides as embryos and tadpoles could induce tolerance to a subsequent higher dose. To test this possibility, they collected wood frog eggs from four different ponds around agricultural fields, two populations close to farms and two about half a mile away. They exposed embryos and hatchlings first to low levels of the insecticide carbaryl and then to (typically) lethal doses to assess tolerance, indicated by how many survived the follow-up lethal dose. As expected, frogs taken from ponds farther away from fields responded with increased tolerance to the insecticide—not as many died—after an initial exposure, while early exposures had little effect on frogs born near farms. These frogs were likely selected for greater tolerance or resistance to the pesticide after generations of exposure. 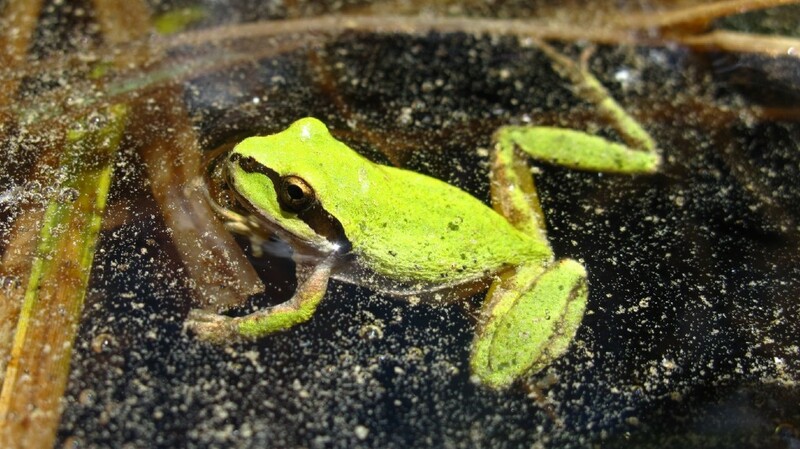 Michelle Boone, an associate professor of zoology at Miami University of Ohio who studies pesticide effects on amphibians, finds reason for cautious optimism in the results, which suggest that individual tadpoles may respond to a given stress in a way that helps them later in life. It remains to be seen whether this induced tolerance is widespread in tadpoles or helps amphibians deal with pesticides in ecological communities. The ability of an individual organism to adapt to pesticides and other environmental stresses—a phenomenon called “phenotypic plasticity”—could play a critical role in helping species tolerate and then adapt to rapid changes. But species will benefit only if the traits that help the individual cope with stress are passed on to the next generation. And evolving resistance to pesticides could come at the cost of other traits, such as increased susceptibility to pathogens or predators. How these results can help current conservation efforts isn’t clear, says Gary Fellers, a USGS research biologist who contributed to the May report showing amphibian declines across the country and to a recent study that measured two common agricultural fungicides in Pacific chorus frogs collected from parks across the Sierra Nevada. 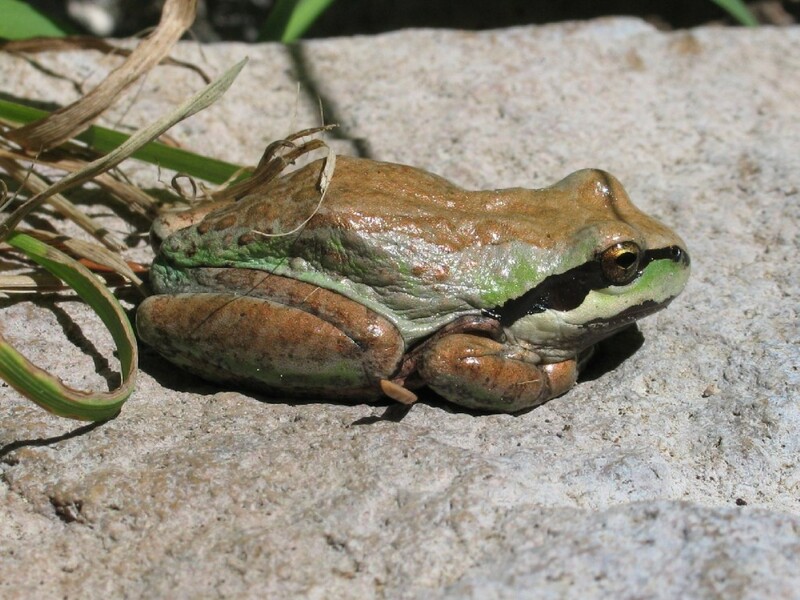 It’s a really good first step toward understanding frogs’ capacity to tolerate pesticides, Fellers says, though he would have liked to see how populations much farther from farms respond. Pesticides can travel on winds and rains and likely reached the Sierra Nevada chorus frogs from Central Valley farms. And though amphibians encounter a slew of pesticides (and other contaminants) on a daily basis, Fellers thinks the crisis calls for triage. With some estimates placing contemporary amphibian extinction rates at more than 200 times the historic rate seen in the fossil record, reversing the decline of Earth's amphibians will require herculean efforts, and all hands on deck.